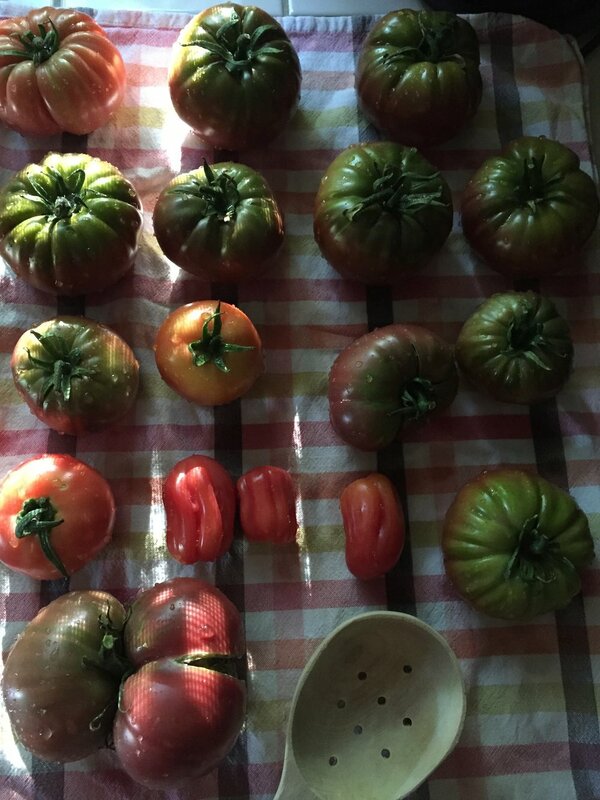 I Love Black Krim Tomatoes! Every year, I appreciate Black Krim tomatoes more. They are consistently among the first to ripen, the vine produces like crazy, the size is great (about 12 oz) and the flavor of the fruit is tremendous. Plus, it's really beautiful, with dark red walls and green tops. If left to ripen a long time, they get very dark red. I think they are the best-looking tomato. Perfect, really. And hey - do you see that white thing on the bottom of this one? That's the egg sac of a Green Lacewing, a very beneficial bug to have in the garden. The larvae eat all kinds of soft-bodied insects. I'm always glad to see these eggs! Black Krim are focusing prominently in my crushed-tomato canning project this morning (we use a LOT of crushed tomatoes over the winter). 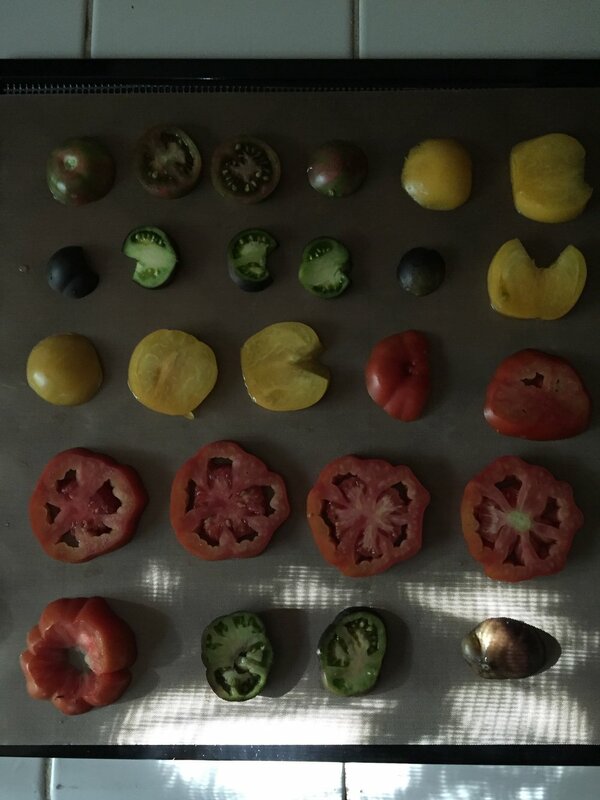 The seeds for this tomato, according to Seed Savers, are originally from (you guessed it) Krim, Russia. Baker Creek Seeds says this tomato won their 2014 nutritional study. 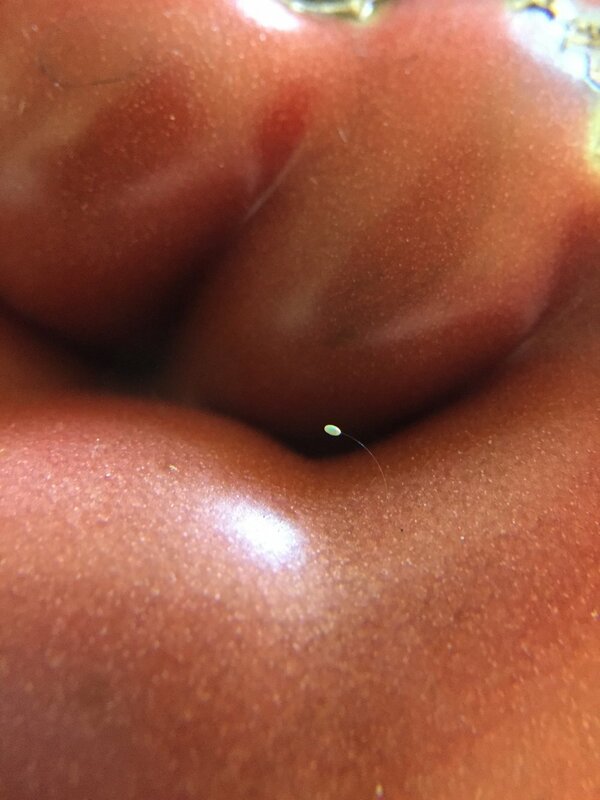 I do see this tomato on many restaurant menus and it appears to be a favorite of chefs. 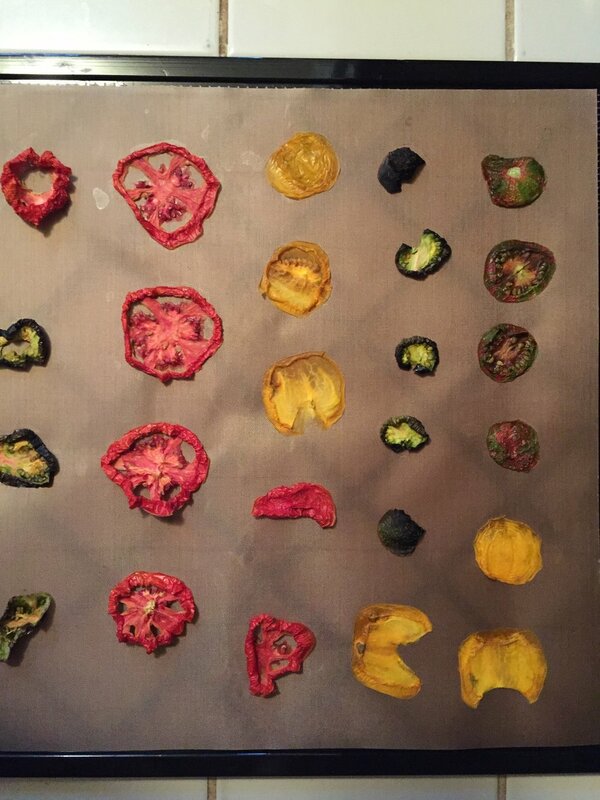 I am also experimenting using my dehydrator to make dried tomatoes (using all kinds, not just Black Krim). They seem to take a long time in there (I'm on the second day now!) but these will be a great addition to the winter pantry. I'm going to shut down the computer for a couple of weeks, for a summer break from screens. I'll be back in August to update you on all things garden!